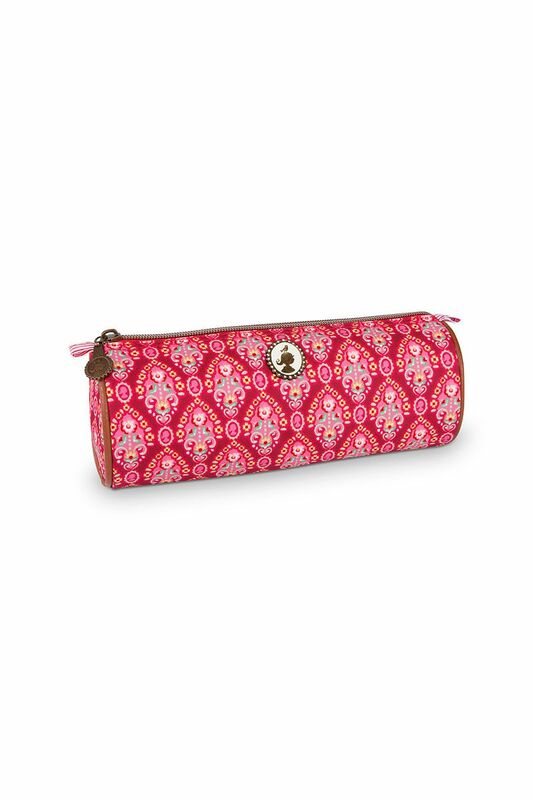 This round red Pip pencil case with the Mumbai Hearts print cheers up any desk. The flexible but durable zipper keeps your pens and pencils stored securely. And thanks to the removable fabric cover, you can easily clean both the inside and outside of the pencil case. The inside is also decorated, but with the Leaf Me print.